Last edited by Premiumaq; 02-09-2019 at 05:35 PM. Premium Aquatics will be at V1 spot with Neptune and Fritz this year! *Premium is also sponsoring the 13 and under kids only raffle...and is the Gold Sponsor! 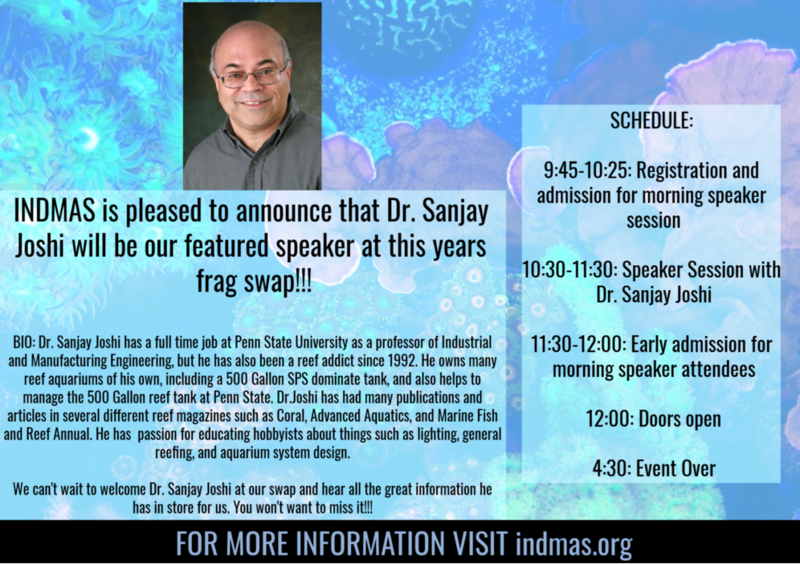 *Come stop by our booth and take advantage of the special show pricing. 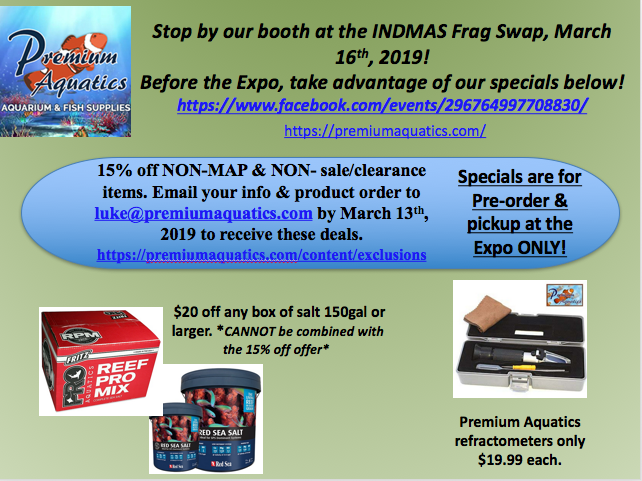 Premium Aquatics will be at the INDMAS Frag Swap this weekend 3.16.19, so make sure you come out and see Brandon and Luke this weekend! * There will be deals on everything we bring to Danville, along with a couple of great show specials. * Premium is the Gold Sponsor this year for the event. 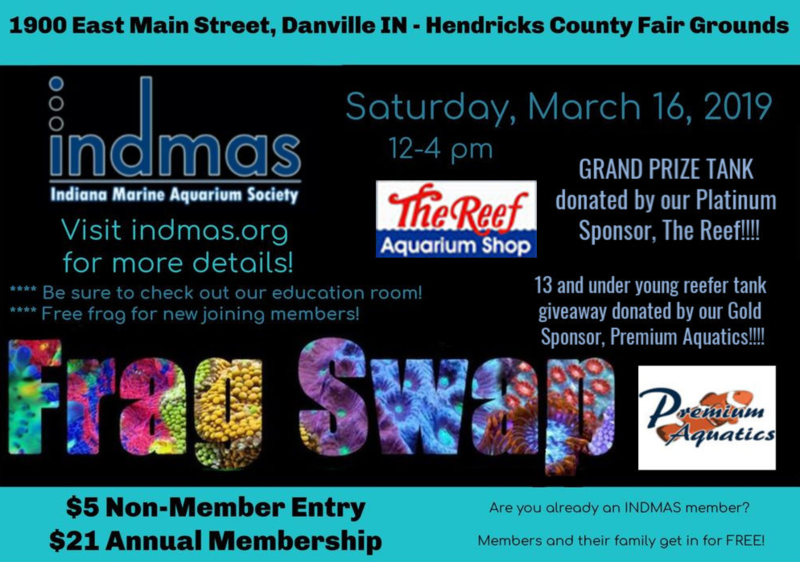 * We are also sponsoring the 13 and under Children's ONLY Aquarium raffle. The shop in Edinburgh will be open for those who are not going to the show, but we will have limited staff so please be patient if you do stop in. * It would also help speed up the process if you had a list of any dry goods or livestock you are needing. * Click the link below for an updated list of the limited livestock we have available this weekend. * We will definitely have a full boat of fish and corals for everyone here the first weekend of April here at Premium! !